NEWS FLASH! EPSRC have just provided the money for year 4 and 5 of our MURI grant. Draft Job description and Person Spec for 24 month post and 12 month post . More details (and jobs.ac.uk advert) to follow. Andrew goes to Leeds to visit Mark Mon-Williams, Rachel Coats and . Richard Wilkie. Talk. Andrew goes to MURI meeting. Tuesday talk, Wednesday talk. ... and ophthalmology meeting. Talk on calibration, latency, etc. ... and excellent Spatial Cognition meeting. Talk on Muryy and Glennerster (2018). Luise and Andrew go to ECVP. Luise's poster and Andrew's 6min talk (pdf only). Andrew goes to UCLA to visit Prof Zhu, Prof Lu, Prof Gao and Mark Edmonds, plus Prof Olshausen in Berkeley. Slides (zip) (and as pdf) for talks at Berkeley and UCLA. Luise and Andrew go to VSS2018. Posters by Alex and Luise. Alex and Andrew submit a paper on pointing in non-metric environments to Spatial Cognition 2018. A revised version is now accepted for publication in LNCS. Andrew is giving talks at Stereoscopic displays and Applications conference, San Francisco (video); Professor Zhu Song-Chun's group in UCLA and Smith-Kettlewell, San Francisco. Slides (ppt) and as pdf. Andrew gave a talk in Giessen. Slides as ppt or pdf. James Stazicker and Andrew upload a preprint on 3D perception without 3D coordinate frames. Luise and Andrew go to MURI meeting in UCLA. Slides. Luise's navigation paper accepted in Journal of Vision, preprint here. Alex, Luise and Andrew go to VSS. Posters by Andrew, Alex and Luise. Alex, Luise and Andrew go to 'Models and Representations in Spatial Cognition'. A photo. Alex, Luise and Andrew visit the Gupta group at CMU. VASC abstract and slides. Some photos. AHRC funded workshop in Oxford organised jointly with James Stazicker. Michael Milford's photos of the workshop. Interview with Daily Mail online. Excellent Rank meeting on 3D vision, Grasmere (Andrew Welchman and John Mollon). Slides. ECVP poster by Mark Adams ...all of us go. MURI annual meeting. Slides. A chance to make links with cognitive and computer vision labs like Josh Tenenbaum and Abhinav Gupta. VSS posters by Luise, Andrew and Peter. You can sign up to meet Andrew at VSS, or to chat about the PhD studentship. Fully funded PhD studentship available (closing date 6th June). First video conference meetings of the new AHRC grant. Alex Muryy will join the lab in June. AHRC network grant awarded to work with James Stazicker in Philosophy and in USA, UK and Europe. Mainly, this is to discuss the wiki. Peter joins the Department with a permanent job and starts the Vision and Haptics lab. We organised a meeting on 'View-based representations in animal and machine vision' in July 2015 at Microsoft Research, Cambridge. We have just been awarded a $1.25M grant through the US Department of Defense MURI scheme. This is for 5 years and will allow us to employ a PDRA and help fund a PhD studentship. More details will follow. Would you like to work in our lab? We are looking for a 12-month post-doctoral researcher starting in August 2015. Click here for more information. Download Andrew's VSS2015 poster here and Mark's poster here. Andrew, Peter and Mark are travelling to VSS 2015. Visit Andrew’s poster on Tuesday, 19 May 2015, 8:30am - 12:30pm and Mark’s poster on Monday, 18 May 2015, 8:30am - 12:30pm at Pavilion, Tradewinds Island Resorts. Peter will be giving a talk on Tuesday, 19 May 2015, 3:00pm in Talk Room 1. Peter got a lectureship in Psychology at University of Reading. Peter will be starting the new position on 1 August 2015. 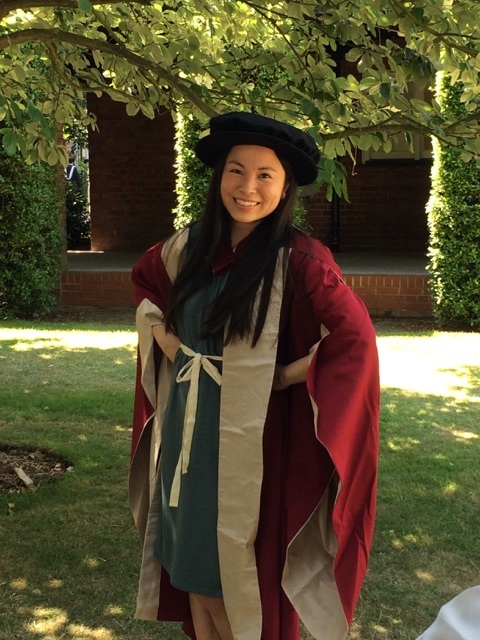 Jenny submits her PhD dissertation. Congratulations, well done! Peter will be a panelist at a virtual reality masterclass run by the British Interactive Media Association to be held at 'Second Home' in Shoreditch, London, on February 25th. The event starts at 6:30pm and tickets can be purchased here. Rosetta Comet in Virtual Reality: You can now view a 3D visualisation of the comet 67P/Churyumov-Gerasimenko here. We have rendered a 3D model of the comet produced by the Rosetta mission/European Space Agency in immersive virtual reality. Andrew publishes a book review Understanding Vision. Andrew, Peter, Mark and Jenny attend the London Virtual Reality Seminar at UCL. PhD student Mark Adams joins our team to investigate Vision and Touch. Welcome, Mark! Peter is filmed for a CBBC program called "Technobabble". The focus of the program was the use of virtual reality, the aim being to encourage more children to get interested in science and technology. This is a current aim of the UK government. For information about the program, including video, click here. 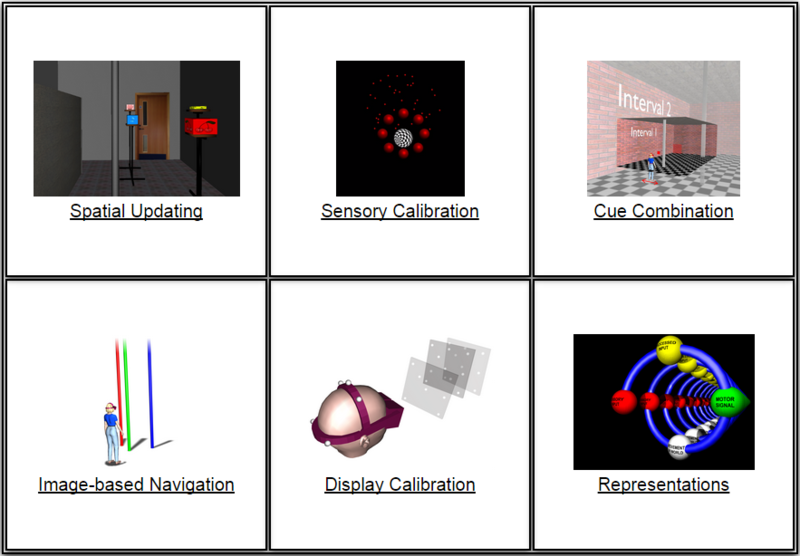 Peter and Andrew publish a paper about calibration of visual cues. Further discussion of the results can be found here. 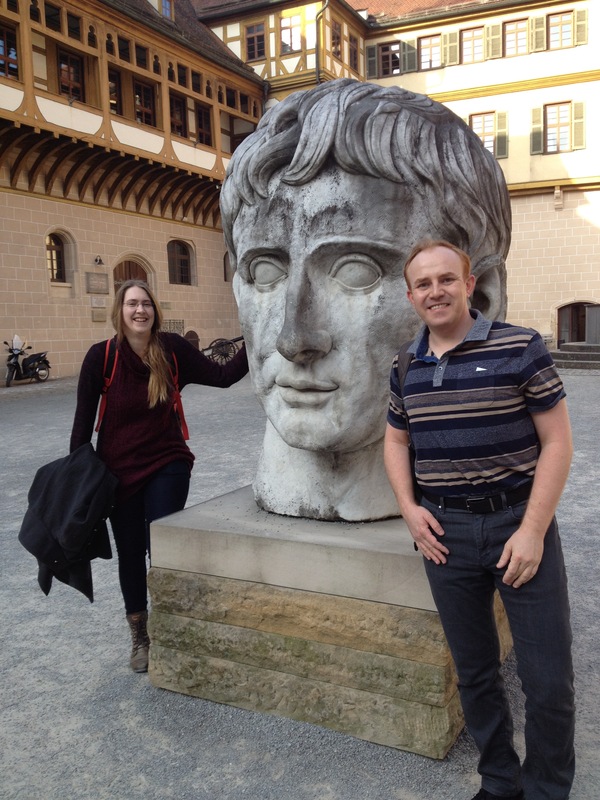 Andrew and Jenny travel to Florida to present exciting research results at VSS 2014. Click here for Andrew's poster, and here for Jenny's poster. 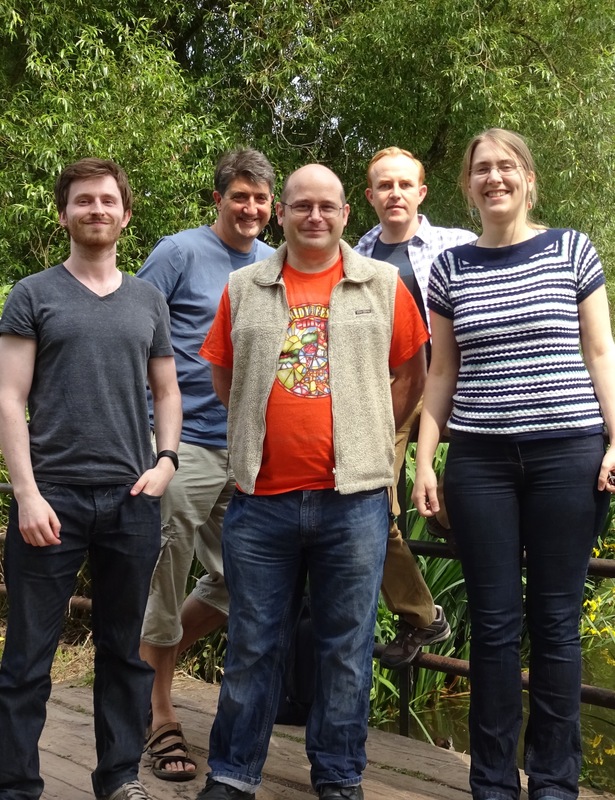 The Glennerster Lab has been awarded an EPSRC-funded DTG Studentship. A new PhD student will join our lab in October 2014 to work in collaboration with Dr. Nick Holmes and Prof. William Harwin. Click here to investigate first hand one of the experiments 'A Game of Boxes' currently being conducted in the lab by Jenny. Learn about the experiment, visualise the data and contribute to the analysis. Join the lab! Funding routes for PhD or Fellowship positions. We collaborate closely with Peter Scarfe's lab.